De Morgan’s laws codify logic rules for conjunctions: ‘and’, ‘or’, ‘nor’, and the adverb ‘not’. These same conjunctions and ‘not’ make programming languages possible. A few languages (and Excel!) and nearly all computers feature ‘xor’, an ‘exclusive or’, meaning either x or y but not both. Computer circuitry usually depend on ‘nor’ or often ‘nand’, not-and, meaning not x and y. A census shows that in every house in Lake Wobegon, all the women are strong and all the men are good-looking, or, all the children are above average and not any of their pets are dysfunctional. A census does not show in every house in Lake Wobegon, not all the women are strong or not all the men are good-looking, and, not all children are above average or all their pets are dysfunctional. A census doesn’t show that in every house in Lake Wobegon, not all the women are strong or not all the men are good-looking. And, the census doesn’t show not all children are above average or all their pets are dysfunctional. Chew on that, S.S. van Dine! 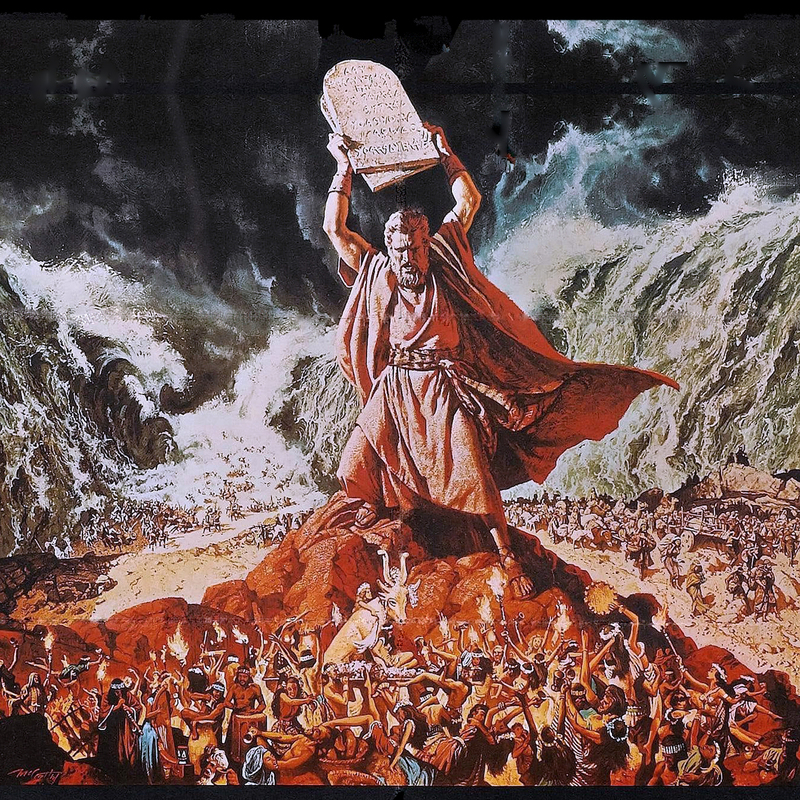 Leigh, is Moses holding up the Ten Commandments of Grammar in that pic? No wonder the crowd is so agitated. Great minds DO think alike . . . I especially like the TidByts. Good column! Paul, I'm sure that's what Moses is holding up, Strunk and White cast on easy-to-chew tablets. John, we agree! I like that your article contains much more useful detail. How about eating ice cream and/or cake for dessert? Elizabeth, I'd hazard the and/or peeps would opt for the first option: ice cream, cake, or both. However, 'both' makes the most sense because who would eat just cake if ice cream were around? Thanks for this helpful post, Leigh. Mignon Fogarty’s Grammar Girl site is one of my favorite “quick and dirty” freebie spots. I usually Google key words (grammar girl which vs. that; grammar girl comma use; or whatever. Almost always get a direct hit and a quick shot of useful guidance. Leigh, I like and/or greatly appreciate these writing tips! And what fun is breaking the rules if you don't know the rules? Peter, with a little luck, she might spot your comment. I hadn't tried the specificity of narrowing the site to hers, but that's a great idea. Lawrence, (laughing) That's oh, so true.